Of course, we all know there was a great disturbance in the Force last week, because the buttmunches at ABC canceled "All My Children." That's just crazy. 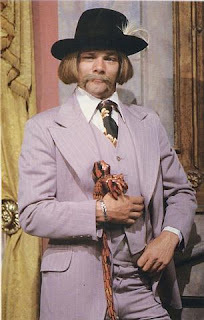 Like, Billy Clyde Tuggle crazy, yo. ﻿Even though I hadn't watched but a few episodes in recent years (stupid mortgage company wanting its damn money every month), I've been a huge AMC fan since the early 1980s. I loved me some Greg and Jenny, and Jesse and Angie, and Tad and Dixie, and Leo and Greenleigh, and Erica and damn near everybody. for Janet from Another Planet. ﻿I'm not going to launch into a long appreciation of AMC. But I had to give it a mention, just because I loved watching it so much for so long. I've been reading a lot about the history of Pine Valley for nostalgia's sake, and looking at pictures. Soap opera fashion is so awesomely over-the-top and ridiculous (these people took out the trash in outfits nicer than anything I owned), and of course watching the styles change over the years is a hoot. 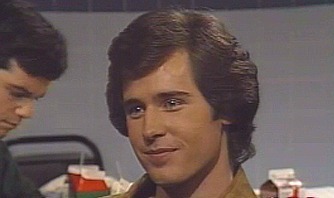 In 1982, Tad Martin with hair wings was HOT. 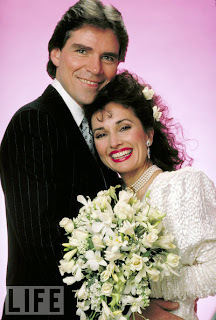 ﻿Looking at pictures of Susan Lucci as Erica Kane is a trip through late 20th century fashion all by itself. HOLY CRAP, ERICA KANE WAS MARRIED TO TEXAS GOVERNOR RICK PERRY!!! Tell me you don't see that. I dare you. This is deeply disturbing. And Gov. 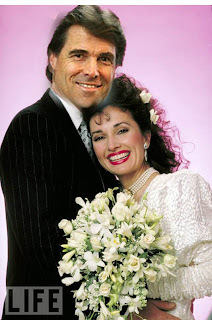 Perry must be pissed that AMC got canceled before he had a chance to cameo in the "Erica Kane Meets Rick Perry and Thinks He's Travis Montgomery Come Back from the Dead" storyline. Which would have been awesome. And helped his Presidential campaign immeasurably, I'm sure. He could have been husband/paramour #598. Oh, AMC, I'll miss you. And Governor Perry, remember: We can't miss you if you won't go away. Think about it.